Pakistan’s founder feared that Muslims in India would be shut out of power. As it turns out, Muslim representation in the Lok Sabha is at an all-time low. Tipu Sultan, Aurangzeb and now Muhammah Ali Jinnah: the intrusion of dead Muslims from history into modern Indian politics continues. The Bharatiya Janata Party and Hindutva groups have taken up the matter of a portrait of Jinnah, the founder of Pakistan, being hung on the walls of the student union office at the Aligarh Muslim University. 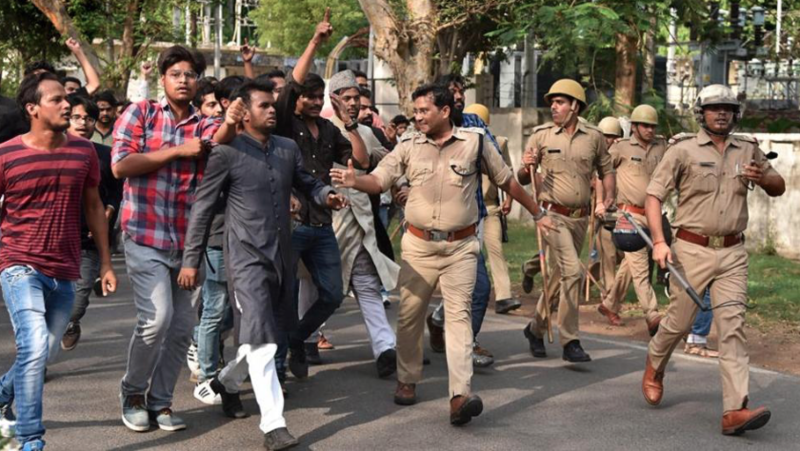 Last week, members of the Akhil Bharatiya Vidyarthi Parishad and Hindu Yuva Vahini barged into the campus demanding that the portrait be removed and clashed with students. Soon after, the police arrived and baton-charged the students. 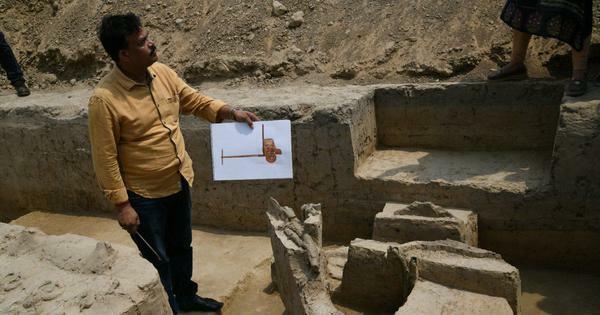 This led to protests at the university with the students demanding the arrest of the Hindutva activists. The matter took a political turn on Saturday with BJP chief Amit Shah and Uttar Pradesh Chief Minister Adityanath declaring that Jinnah cannot be honoured in India. Just like Tipu Sultan and Aurangzeb, the row over Jinnah’s portrait came out of the blue. The portrait has hung at its spot in the Aligarh Muslim University for eight decades, since Jinnah was an honorary member of the student’s union. Many see this as yet another move to cast Indian politics in a majoritarian mould and politically marginalise Muslims in Uttar Pradesh and in the other states of India. While Jinnah has nothing to do with India’s politics in 2018, this sudden criticism of him vindicates one of his theories, formulated in the 1930s: that electoral politics would reduce Indian Muslims to the state of a permanent minority, shut out from power because of their religious identity. As a member of Bombay’s elite, Jinnah started his career as a moderate Congressman. In 1916, as he piloted a pact between the Muslim League and the Congress in Lucknow, he called himself a “staunch Congressman” with “no love for sectarian cries”. By one account, Jinnah styled himself to be the “Muslim Gokhale”, referring to Congress leader Gopal Krishna Gokhale who was Mohandas Gandhi’s guru. 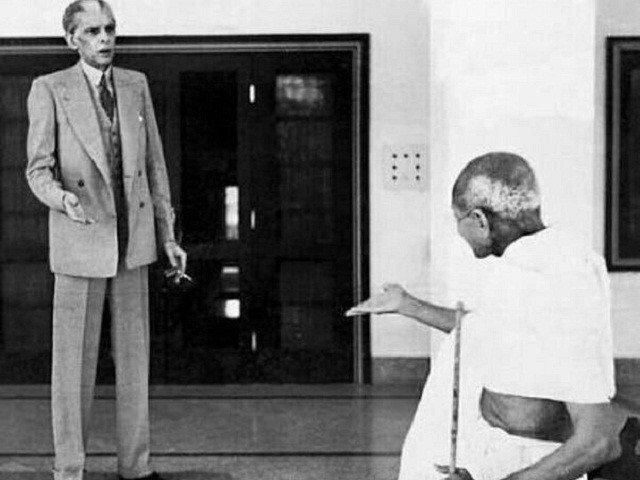 In 1920, Jinnah, then still in his moderate phase, opposed Gandhi’s programme of non-cooperation: he was against mass participation and the use of religion to bring in those masses. When his opposition failed, Jinnah resigned from the Congress. But he kept fighting for a Hindu-Muslim concord. In 1928, he proposed that Muslims give up the separate electorates the British had provided them in return for the reservation of one-third of seats in the Central Assembly for them. This was a high-risk move given that Muslim politics, since the start of representative government under the Raj, was grounded in the demand for separate electorates. The Congress, however, rejected Jinnah’s proposal – a move the liberal politician from Bombay Tej Bahadur Sapru described as “a great damage that India would not recover from for a quarter of a century”. Jinnah received another jolt in the 1937 provincial elections in the United Provinces (modern-day Uttar Pradesh and Uttarakhand). These were the first elections to result in responsible government at the provincial level, with voting rights that were not universal but also not insubstantial. The Congress headed into the elections with an informal pact with the Muslim League, since it had little support among Muslims. It contested only nine Muslim seats out of 60, winning none. However, the Congress did significantly better in the “general seats”, so well that it did not need the League’s help to form the government and proceeded to do so on its own. This was not unusual – no party would want its hands tied if it could help it – but it had the unfortunate consequence of splitting up the treasury and opposition benches almost nearly as Hindu and Muslim. The United Provinces Congress Legislative Party had just two Muslim legislators, giving rise to fears of majoritarianism. Jinnah’s solution to break out of this permanent minority position was to seek the elusive grail of political parity between British India’s Hindus and Muslims. The device he used to do this was significantly worse than the disease: the Two-Nation Theory. This held that Hindus and Muslims were incipient nations – not communities – within the British Empire and any power-sharing arrangement in India would be done on a basis of national equality. Not only was the Two-Nation Theory malevolent, it was not even a strategic success. The tool did little in the crucial 1946-1947 period. 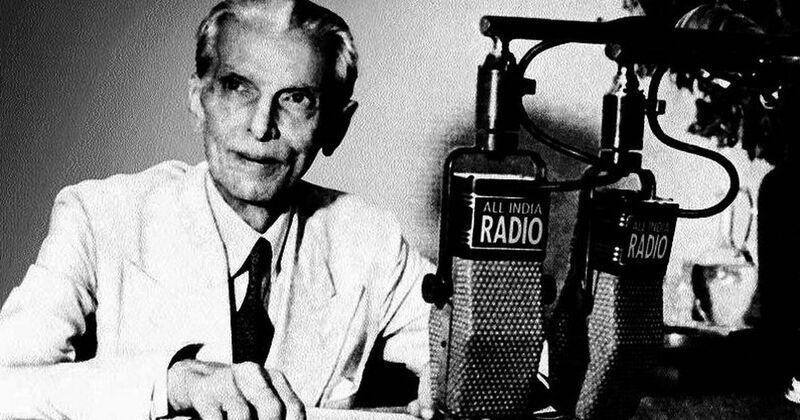 Jinnah was forced to sign on to the 1946 Cabinet Mission Plan – a British scheme for a united India – even though it explicitly rejected parity. In the end, with all trust between the Congress and Muslim League breaking down, Jinnah was rushed into accepting a “moth-eaten” Pakistan he had rejected multiple times earlier. And within three decades of 1947, more than half of Pakistan broke away under the rubric of Bengali nationalism. With British India’s Muslims now in three countries, Jinnah’s shaky formulation that South Asian Muslims somehow formed one nation was put most definitely to rest. Yet, as Hindutva takes control in India, it is worthwhile revisiting Jinnah’s prediction that Muslims in India would be shut out of power as a permanent minority in a majoritarian system. In hindsight, Jinnah’s solution might not have been correct but it seems his identification of the problem, as the commentator Aakar Patel noted in the Times of India, was. For example, Muslim representation in the Lok Sabha is at an all-time low with just 22 MPs in the 545-strong current House – less than a third of what it should have been were the Lok Sabha to mirror the Indian population. Even this small number is skewed, with 14 states having failed to elect a single Muslim MP in the last 25 years. A state like Gujarat has all of three Muslim MLAs in its 182-seat Assembly. In Uttar Pradesh, Muslim MLAs make up just 5.9% of the 404-member Assembly – while the community accounts for 19.2% of the state’s population. If these headline statistics were not bad enough, Muslims have been excluded from local, state and national power structures under the current government. They are not given tickets to contest elections and, in some cases, prominent BJP leaders have made it clear in as many words that the party does not even want Muslim votes. As a result, treasury benches in legislatures have almost no Muslims, casting the community into a permanent minority status, locked out of power and dependent on majoritarian whims. Moreover, the BJP’s charge of appeasement means that other parties are also wary of offering Muslims benefits that would otherwise be a normal part of a democracy. Political marginalisation, of course, has a host of knock-on effects including, most prominently, physical safety – with hate crimes against Muslims on the rise. Democracy getting warped in such a manner is not limited to India. 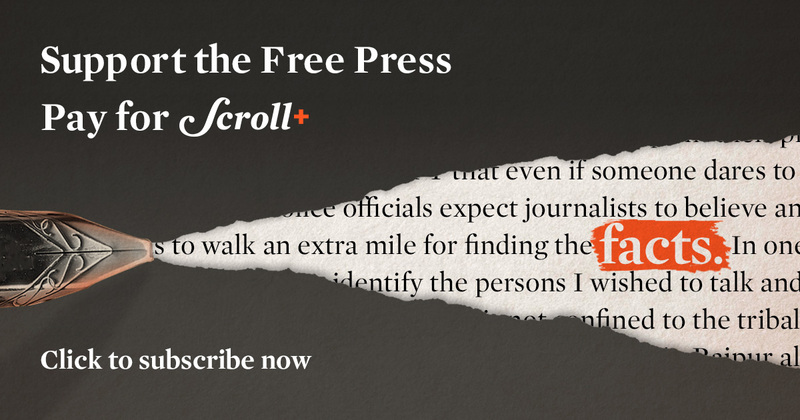 In Sri Lanka, the almost three-decade-long bloody civil war that ended in 2009 was a result of the island nation’s Tamils being shut out of power by the majority Sinhalas. It is a phenomenon found even in the West. At a 2016 rally, Donald Trump, who was then in the race to be the president of the United States, declared, “The only important thing is the unification of the people, because the other people don’t mean anything.” Jan–Werner Muller, a political scientist, sees this as a politics of exclusion based on identity in which certain communities, such as Mexicans, are deemed to not be a part of the “real America”.